Three local hospitals hope to lower the Missouri Bootheel’s high infant mortality rate by distributing baby “boxinettes” that encourage safe sleeping habits for newborns and their caregivers. This month, Saint Francis Medical Center in Cape Girardeau, Missouri Delta Medical Center in Sikeston and Twin Rivers Medical Center in Kennett, in partnership with Bootheel Babies & Families, began giving out the boxes that are lined with a mattress and function like a bassinet. Accompanied with a consistent educational message about safe sleep options, they are meant to discourage parents from sleeping with their babies, which could lead to accidental suffocation. The program is based on a successful baby box initiative in Finland that began in the 1930s and contributed greatly to decreasing that country’s infant mortality rate from almost one death for every 10 births to one of the best in the world at one death in every 500 births. 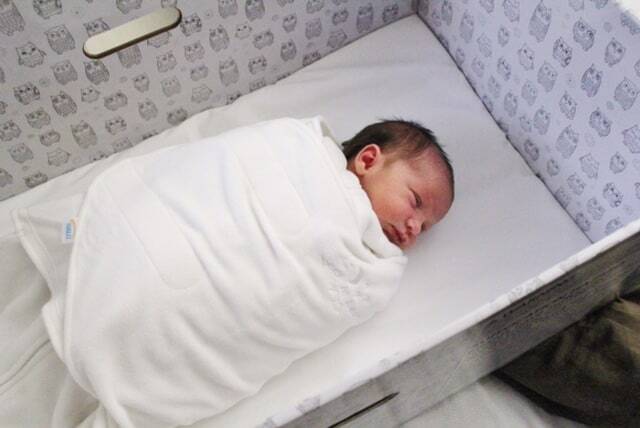 The boxinettes, which are manufactured by The Baby Box Co., have been independently tested for safety by the Consumer Product Safety Commission. Used by millions of parents, the boxes can be used until the baby is about 5 to 6 months old, or weighs 15 pounds. Any sudden and unexpected death of an infant, whether explained or unexplained, is medically considered a sudden unexpected infant death (SUID). Sudden infant death syndrome (SIDS) is the leading cause of SUID, followed by unknown causes, and accidental suffocation and strangulation in bed, according to the Centers for Disease Control and Prevention (CDC). Every year in the United States, there are about 3,500 cases of SUID. In 2016, the American Academy of Pediatrics updated its recommendation on safe infant sleeping environments and SIDS prevention. Babies should sleep alone, on their backs, in their own cribs with just a mattress – no blankets, bumpers or stuffed animals – in their parents’ room for the first year of life. The hospitals use the acronym BABY to help parents remember the rules of safe sleep (on the back, alone, in a bassinet, crib or boxinette for the first year). The Safe Sleep Boxinette Baby initiative aims to reduce risky behavior associated with infant deaths, such as sharing beds or using unsafe bedding. The hospitals plan to give out 750 boxes for free over the next six months – one for each woman from the six Bootheel counties who gives birth there, regardless of need. The boxes, which include newborn swaddling gowns, pacifiers and educational materials, are worth approximately $80 and were primarily funded through a grant from the Missouri Foundation for Health.